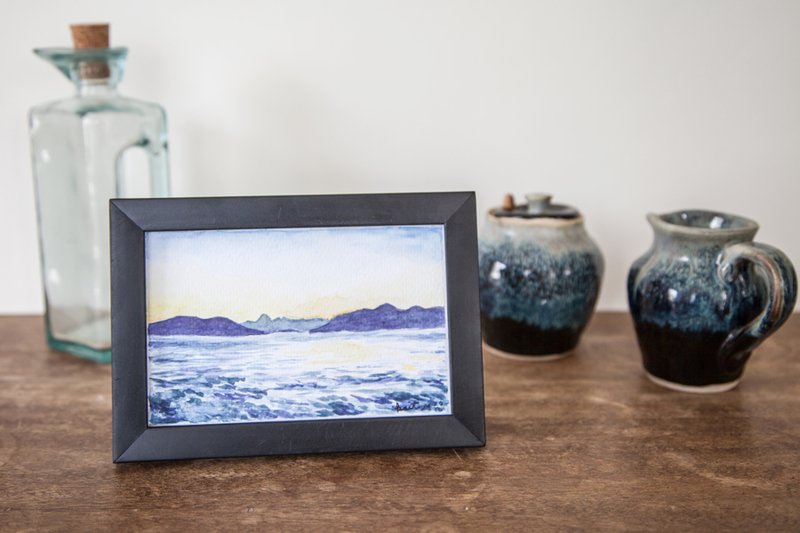 I just released a new small series of watercolor seascapes on cold press paper! There are five 4x6 pieces inspired by my time in the San Juan Islands. These pieces are inspired by the solitude, tranquility, and quietness of dawn and dusk on Rosario Strait, looking across from Orcas Island (near Olga) to Cypress Island, Sinclair Island, and Mt. Baker. I fell in love with the quality of light and color that greeted us as the sun rose each morning and bid us adieu each evening.